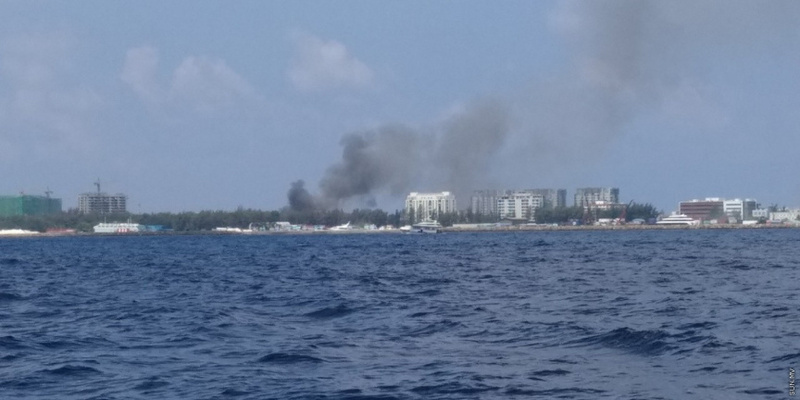 A fire has broken out at the vacant land space which lies between the ferry terminal and central park of Hulhumale’. Maldives National Defense Force (MNDF) says the fire was reported to the agency at 1:21 pm this Monday. MNDF’s information officer, Captain Adam Azim reports the fire is spreading via the grass at the land space. He confirms firefighters from MNDF’s Fire and Rescue Service are at the scene battling the fire. The reason for the fire is unclear at this point.